A to Zee Creativity: End of term speaker! We are very pleased to welcome Craig Jenkins, a British story teller brought to our attention by Chandni Khanna of Hippocampus. 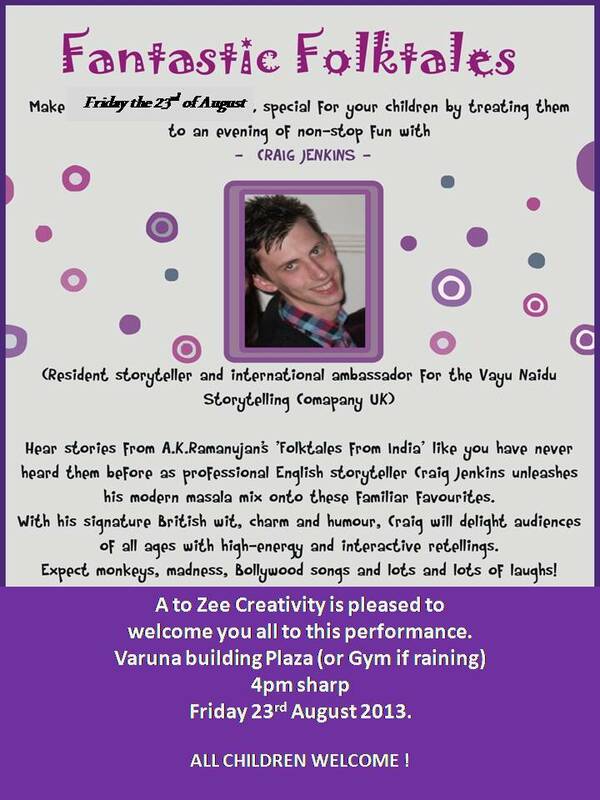 We have invited Craig Jenkins to entertain our A to Zee students of all batches. Do attend if you can. 4-5pm on Friday 23rd August - that is this Friday. We will do it downstairs on rugs in the plaza or else in the gym. Please fetch the Zeebees by 5pm as the Original batch will continue with their regular class until 6.30pm.